There is no way to truly describe the feeling of watching a person you care about sink into addiction and spiral out of control. It is a normal reaction to want to jump in, to in some way help them, to try to change that person and their behavior. You may feel like you are watching a car crash about to happen in slow motion and are trying desperately to intervene. The problem is, when an addiction has been set in place, the chaos that it creates is their car to drive; not yours. If you don’t let go of their wheel, your life may come crashing down too! Codependency is a concept and behavior that surfaces in many areas of life and relationships, not just addiction. 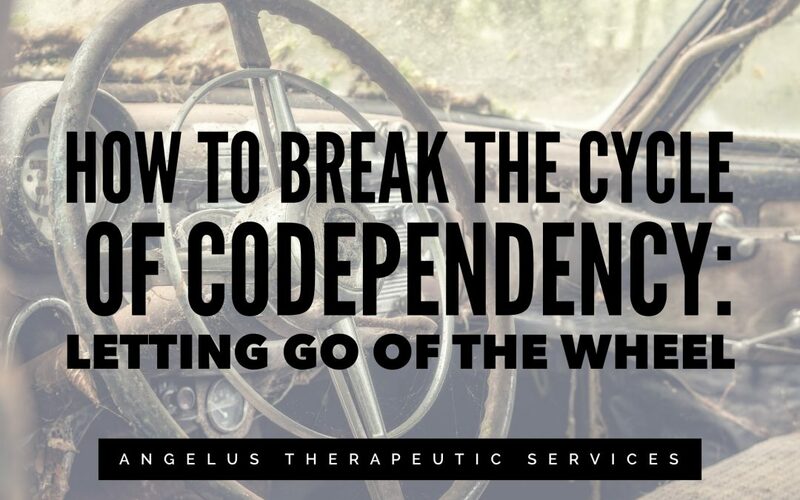 A person can fall into a codependent role regardless of whether addiction touches his or her life or not, low self esteem, problems in childhood, history of medical issues, and dysfunctional relationships can all contribute to codependency. However, because addiction is so powerful, and it affects so many people surrounding the person with the addiction, codependency can be much more common when it comes to this realm. Codependent patterns of thought and behavior then take a strong hold on those around a loved one with an addiction. Deep shame often goes hand in hand with addiction, as it does with codependence. Those caught by addiction typically try to hide their problem, and family members also can get stuck in that pattern of doing their best to cover up the addict’s behaviors AND the fact that they are “putting up with it.” The addiction can become the center of everyone’s attention, without much room left for anyone else to get their own needs met. But what does Codependent actually mean? Codependency can seem like such a dirty word, and many people think it means weakness. If you are codependent with another person, it means that your emotional and psychological state overly relies on him or her. So: If THEY are Happy, YOU are Happy, but If THEY are Mad, it feels nearly Impossible for YOU to be Happy. It can be easy to get codependency confused with simply caring about another person. For instance, if your child has an addiction and is unhappy with his or her life, wouldn’t it make sense that you should care about them and their distress? Absolutely, but caring and encouraging them to get better is not the same thing as codependency. Caring is not detrimental to the self, whereas codependency is. Caring is exercising healthy boundaries. It is offering to help the addict help themselves, by taking them to treatment, for example, or talking to them on the phone when they are distressed. Codependency on the other hand is making excuses for their bad behavior, allowing it to continue, and making someone else’s crisis your own over and over again. It is jumping when someone says jump and upsetting yourself and your world each time someone else is upset. This might look like getting worked up when the addict in your life is looking for money and is pestering you to provide it. It may mean buying their substance of choice for them in an effort to pacify them or out of fear of what THEY may do IF you don’t. Regardless of what the actual activity may look like, codependency is aligning your own emotional state with theirs, instead of holding space for your own thoughts and feelings, separate from theirs. 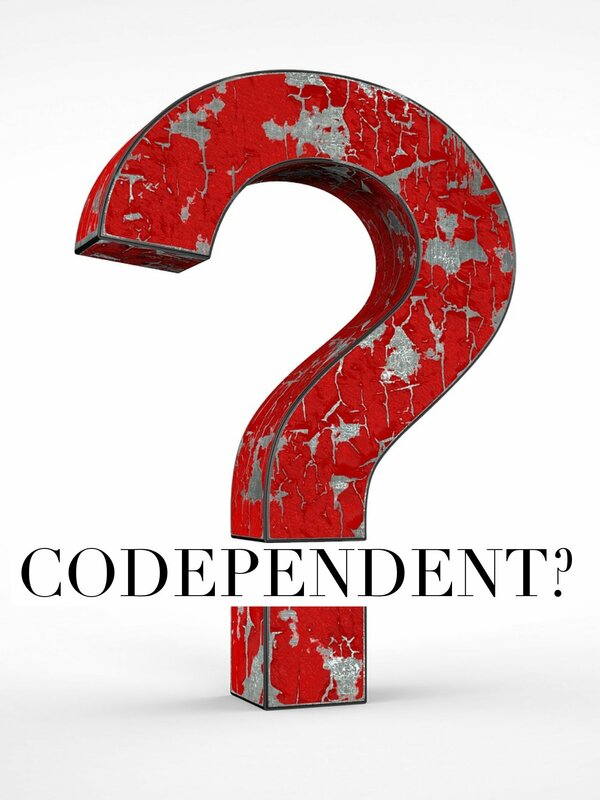 How can I tell if I’m codependent? Every person is unique, and finding out if the term codependent fits with what you are experiencing is process of self exploration. However, if you find it difficult to “hold your own,” feel like you are discontent with life, and often make the problems of the person with the addiction in your life your own problems–you may have some codependent tendencies. Find it hard to say no? Look for happiness outside of yourself? Stay in unhealthy relationships because of low self-esteem? Feel responsible for other people’s actions? Drop what you’re doing to help someone else? Feel underappreciated, used, or like a victim? Take on more than you can chew? Need to please others more than you need to please yourself? Lose sleep over other people’s issues? Worry excessively about things you can’t control? Wonder why you’re always so tired and stressed? Ignore problems or pretend they aren’t happening? These are just a few of the tendencies that many people who struggle with codependency often relate to. You may notice that some apply while others don’t, that’s ok. Gathering more information and taking an honest look at yourself can help you to meet your goals and alleviate the stress that codependency can cause. For more points to consider about codependency, click here. If the addict in your life is not ready to change his or her behavior, there is nothing you can do that will make that person better. You CAN work to detach yourself emotionally from the chaos that often surrounds a person with addiction. That does NOT mean that you don’t care, it means that you refuse to give up your own health and peace of mind because of another person’s unhealthy decisions. but You will also be doing the best things for them AND you. You will be holding them accountable for their own actions by not allowing them to use you as a cushion or a fix (or a person to manipulate), and leading them to have to make the decision themselves to get help, to get clean, and to stay clean. and be right there beside them. You can always love them, even when they are in active addiction–You just can’t forget to take care of yourself in the process. Having boundaries is not selfish it’s a necessity for emotional survival. Blog Credit: Natalie Drozda, MA, LPC is a PH.D student in Counseling Education and Supervision at Duquesne University and soon to be clinician at Angelus Therapeutic Services. Additional Information for Therapist: Let us know any presenting issues, concerns, or areas you would like to work on in counseling so that we can match you with the best therapist to meet your needs.